Swim stroke analysis, open water swimming tactics, running technique and track workouts for mortals. I offer personal consultation for $75 per hour, 6 week group training for triathlons at $50 each, and individual training for $150 per month. Discounts available for youth. I have been racing in triathlons and open water swim events for 28 years from sprint tri's to Kona. I have been All American for 15 years and a top ranked masters triathlete. I am a Level 1 USAT certified triathlon coach, USAT certified youth triathlon coach, and I also coach swimming. I enjoy competing and I want to inspire others to find a passion in their life. I coach all levels, including kids. I make the training fun but challenging, keeping a balance between all the other parts of life. 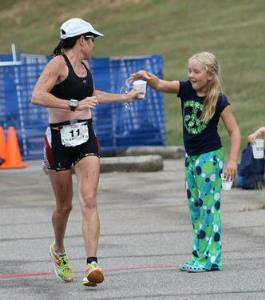 I have an Ironman husband and kids who have raced tri's as well, so I have been there as a parent and spouse as well. Success. Coach Kris Kester has been notified of your message.